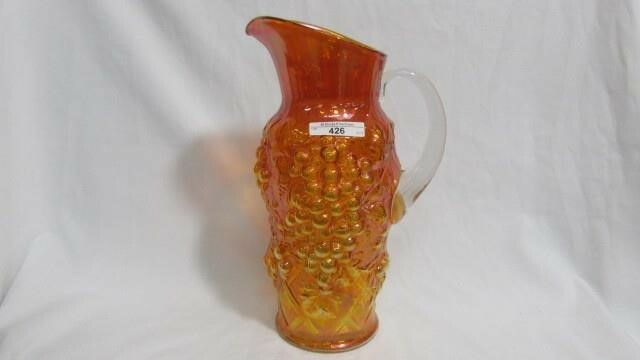 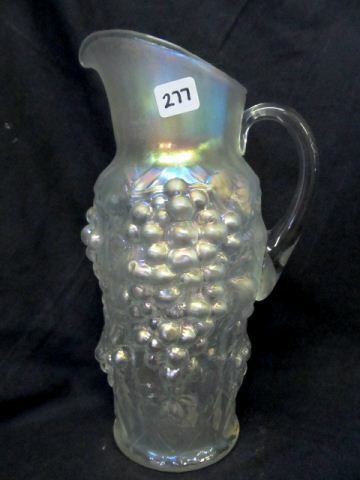 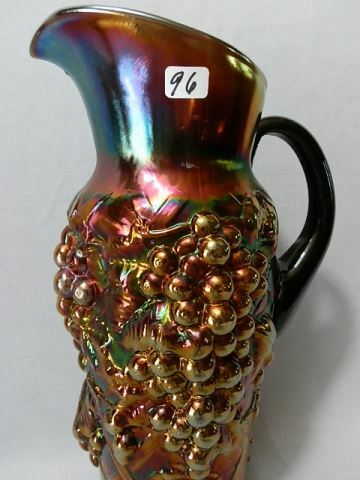 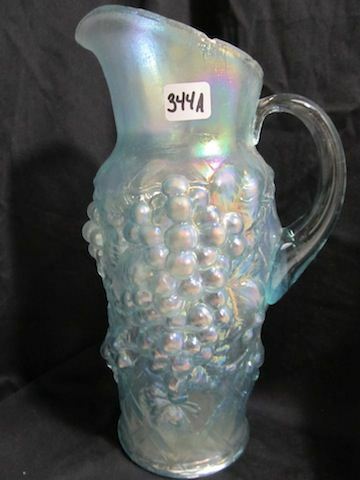 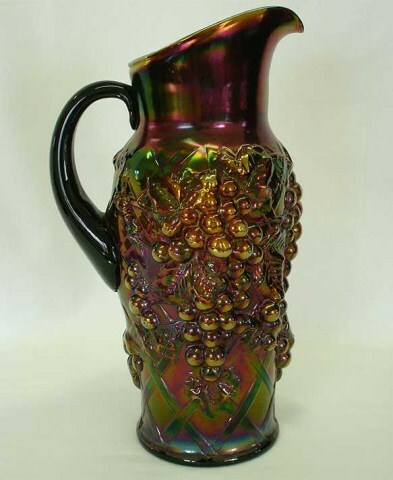 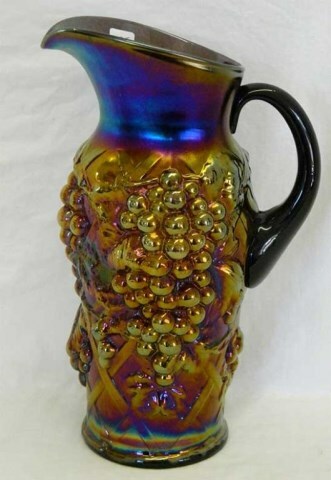 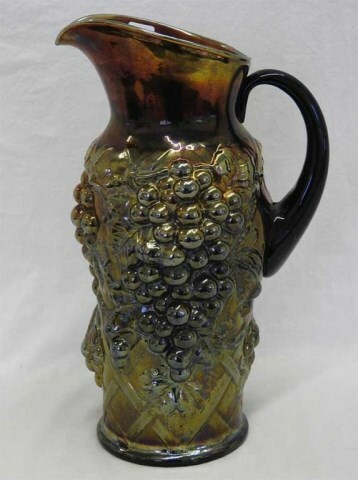 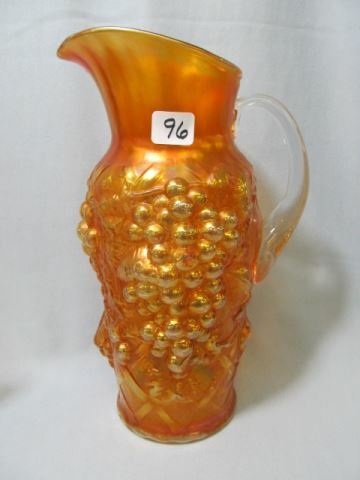 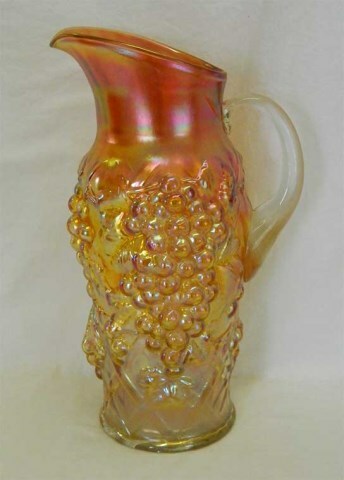 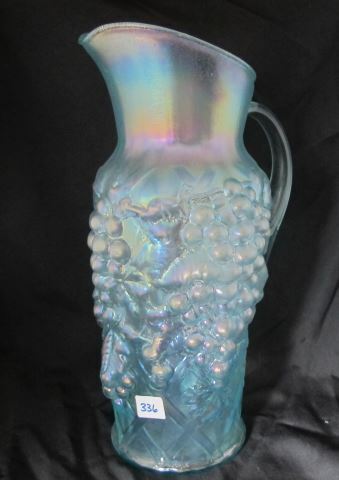 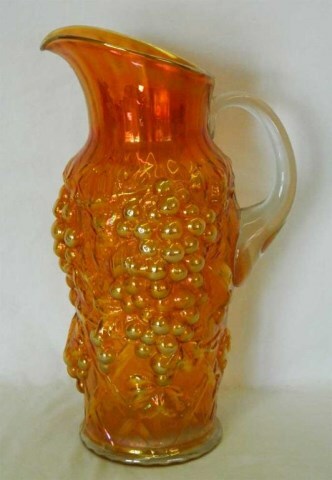 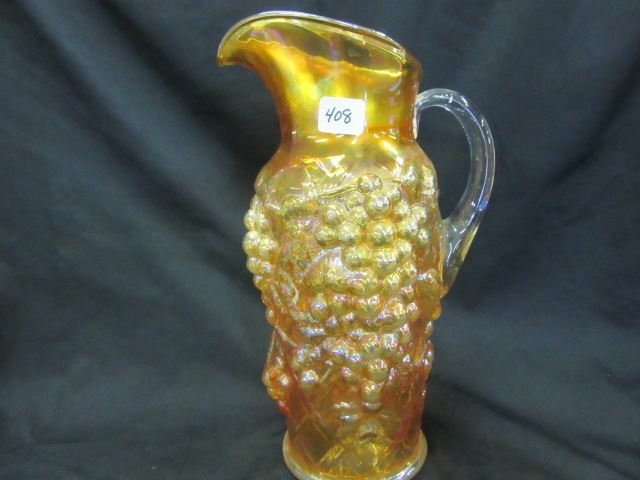 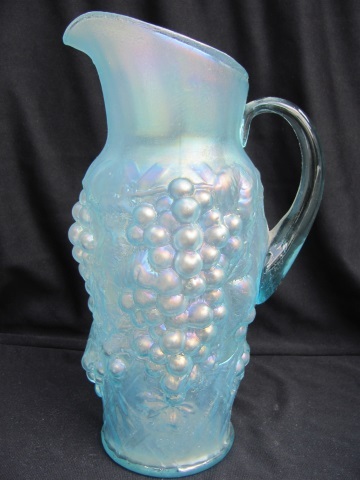 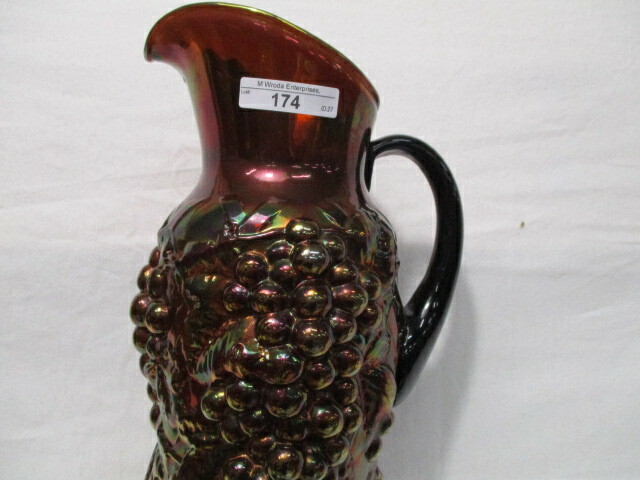 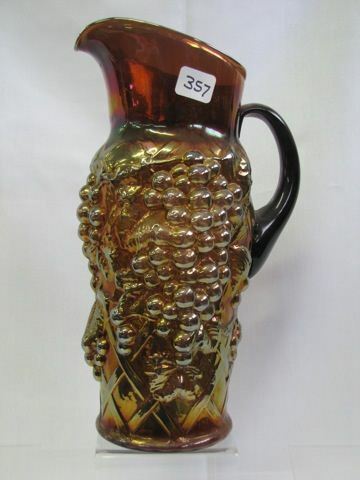 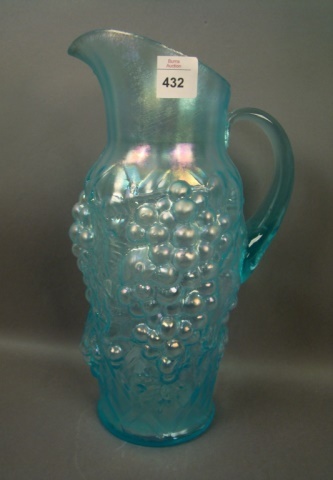 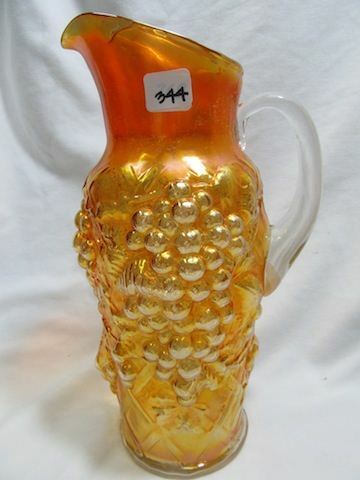 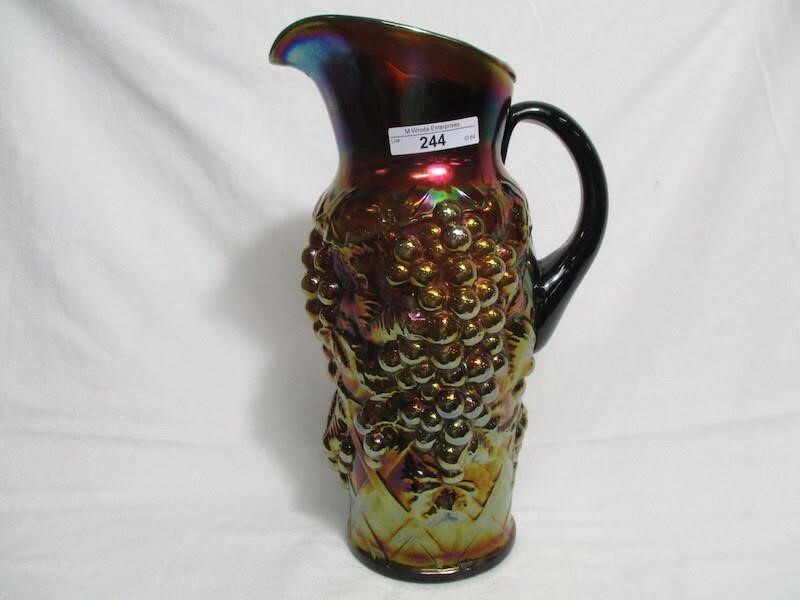 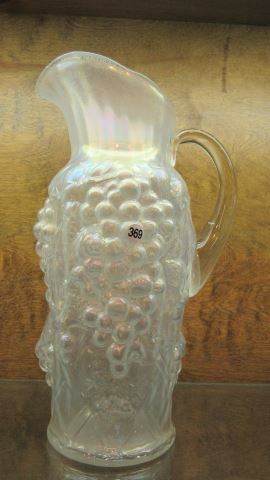 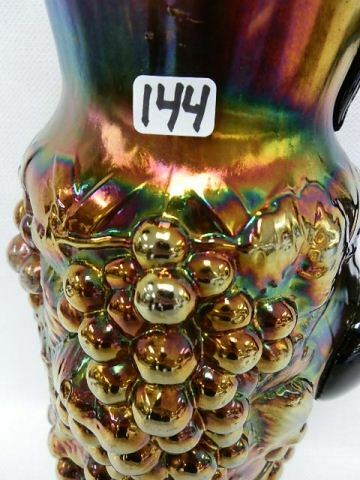 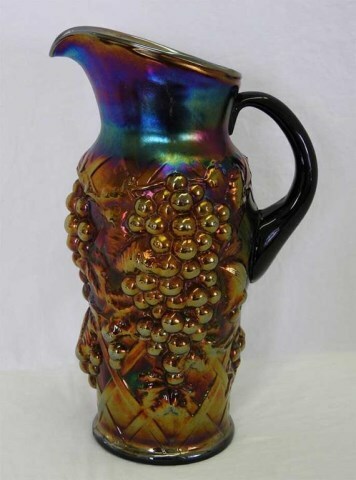 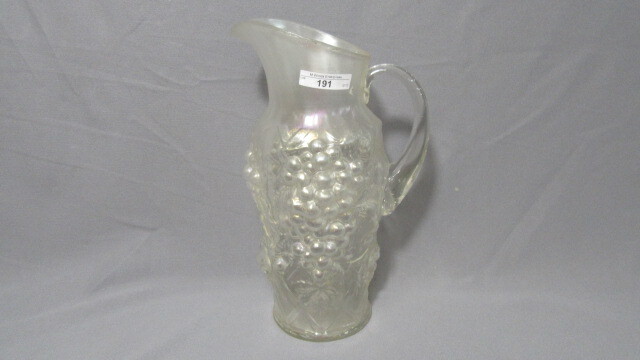 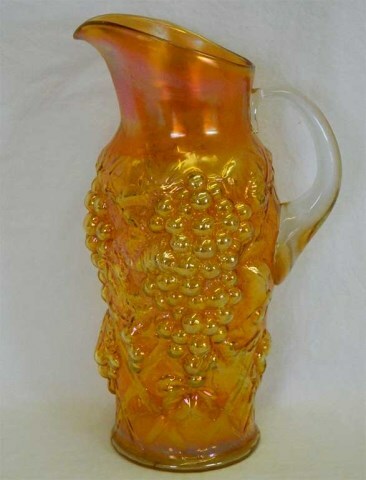 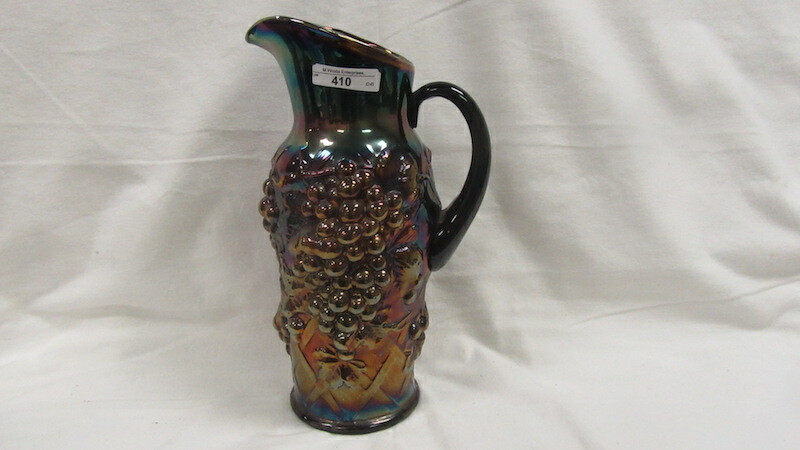 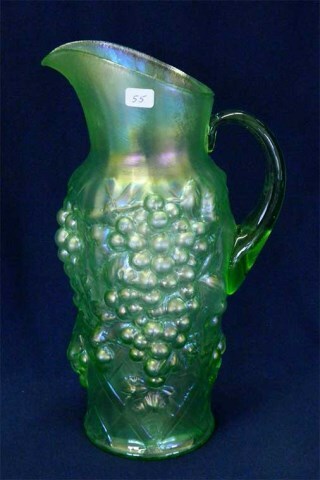 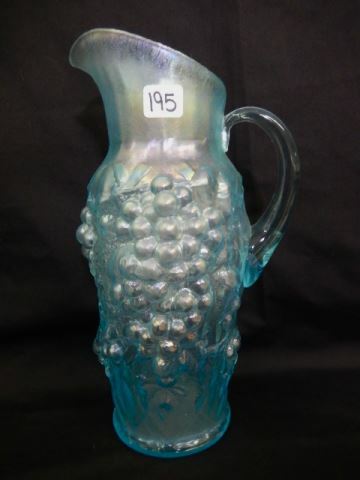 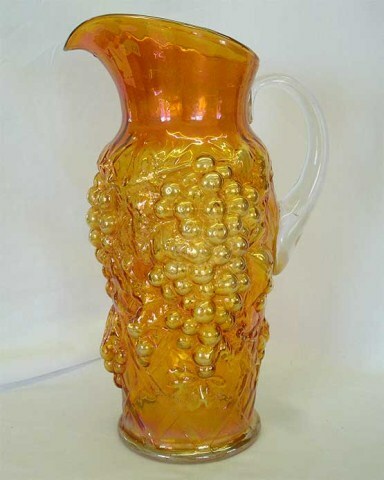 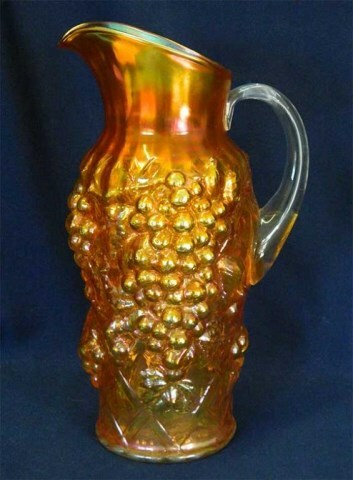 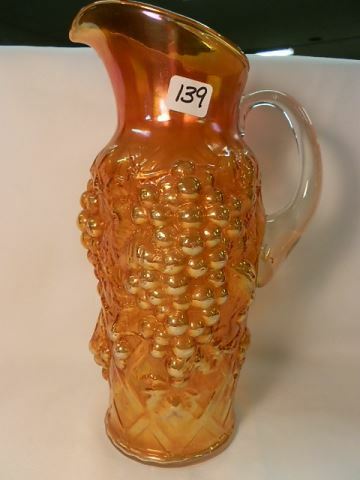 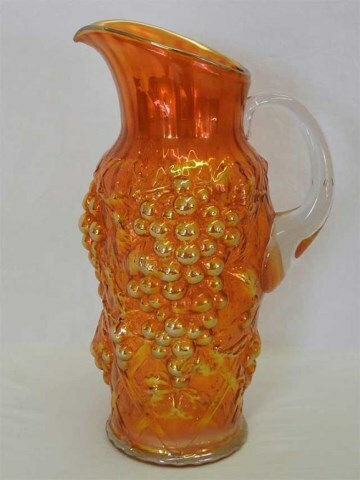 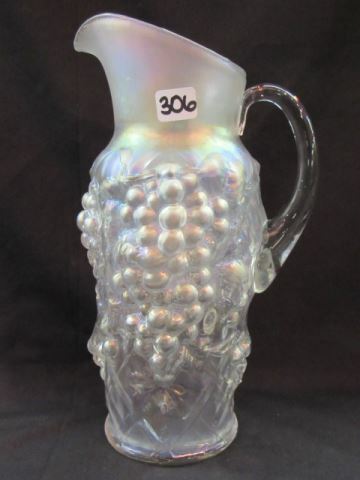 A dramatic use of the grape theme, the fruit on the pitcher is almost as large as the real thing. 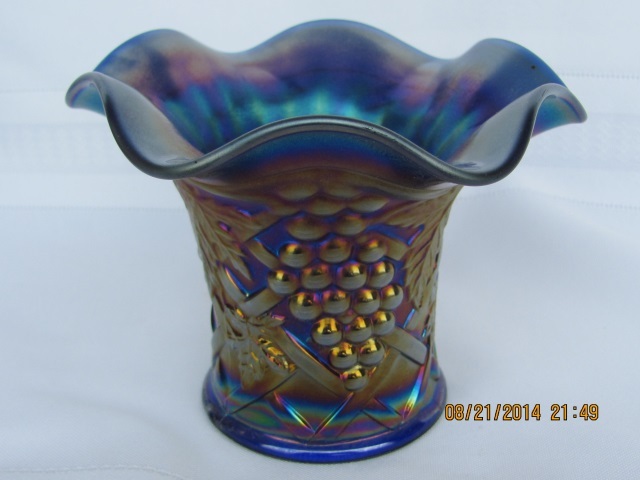 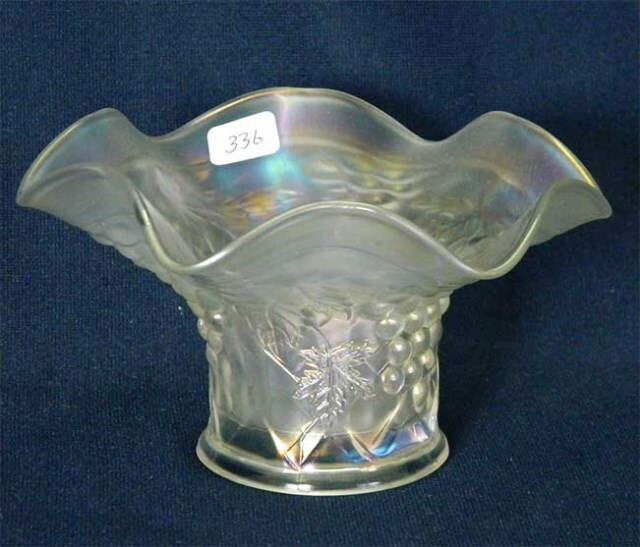 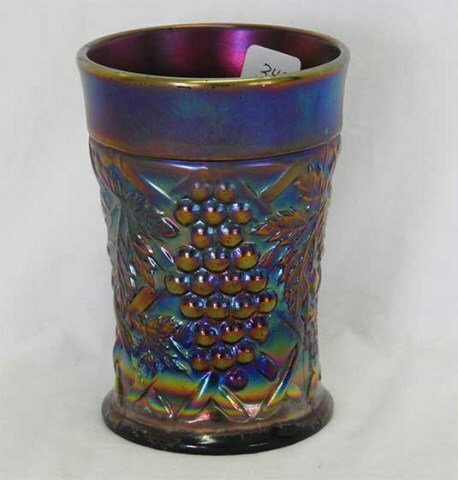 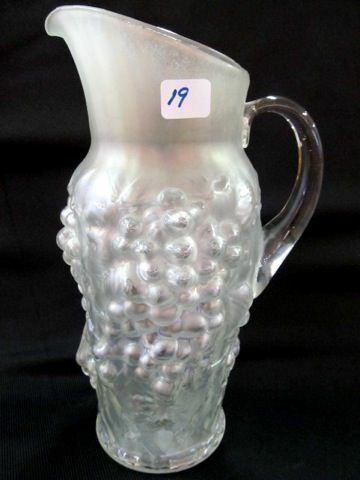 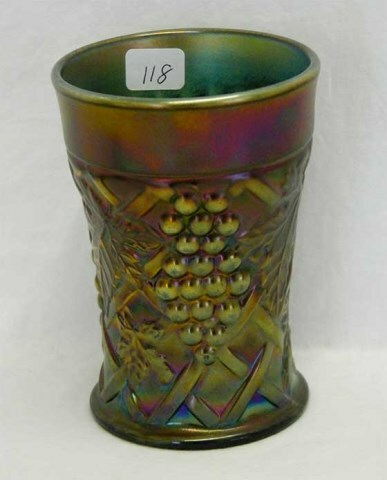 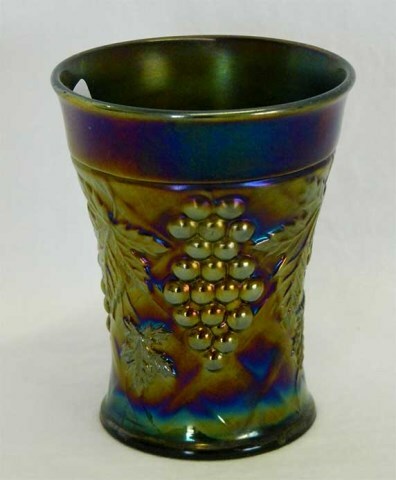 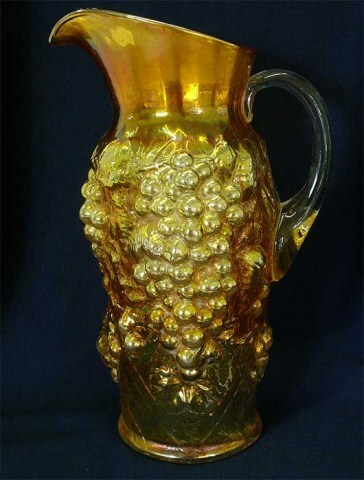 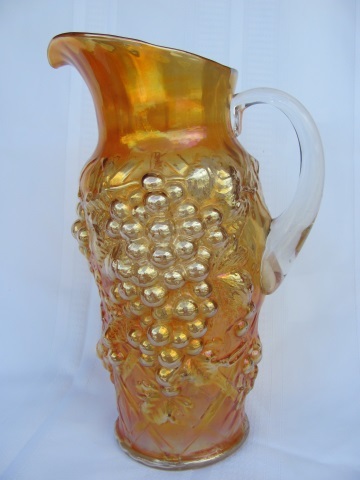 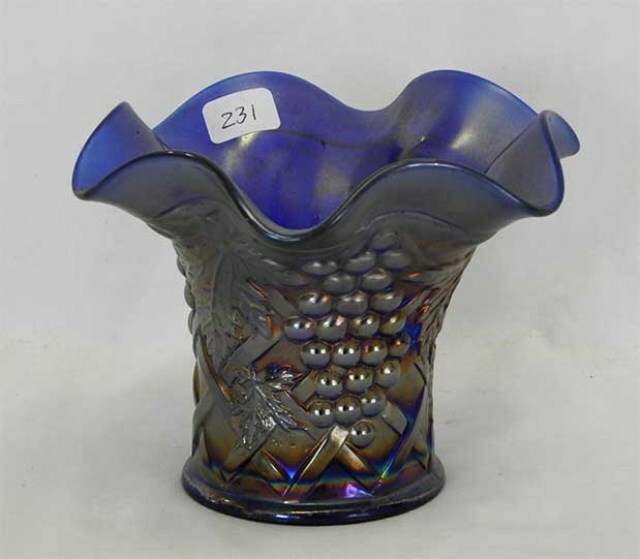 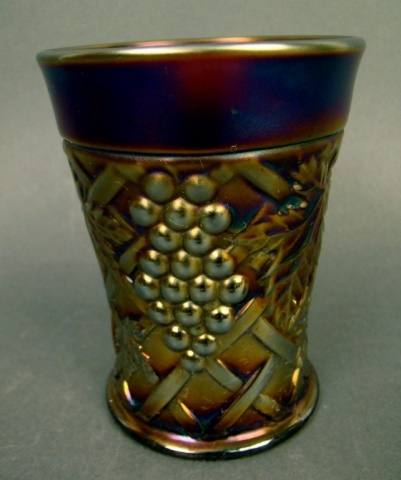 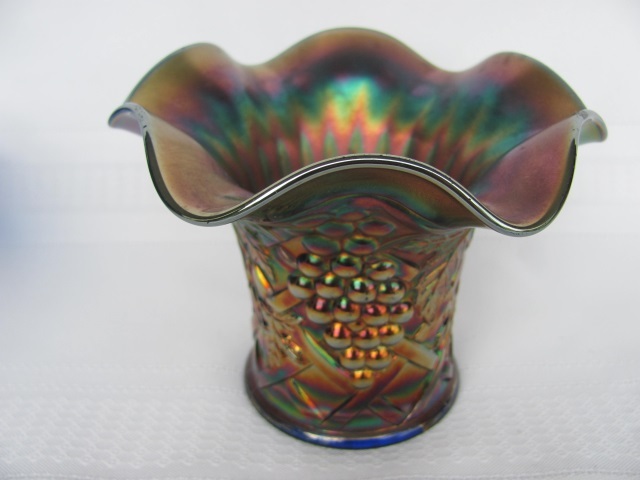 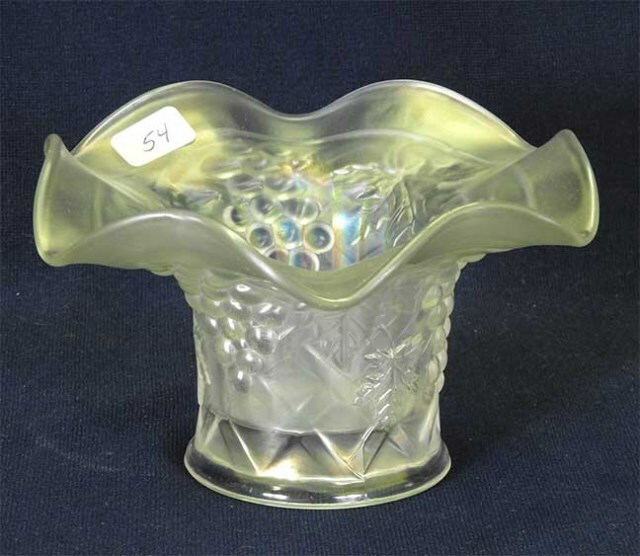 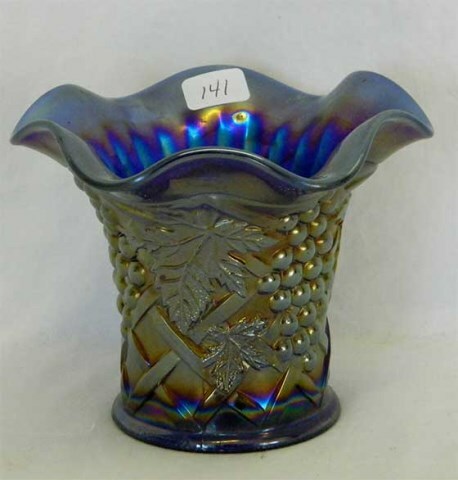 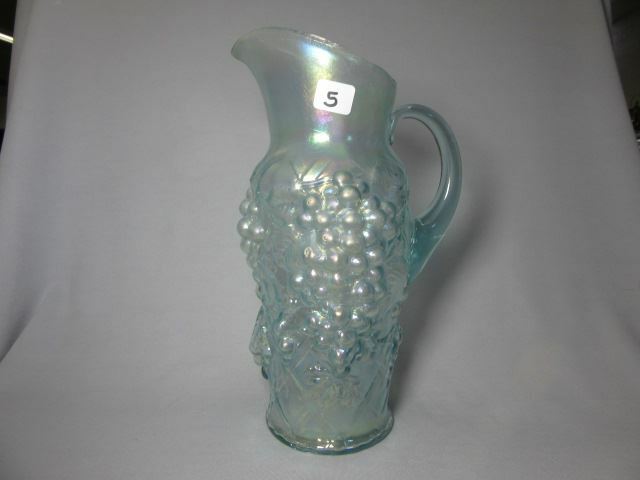 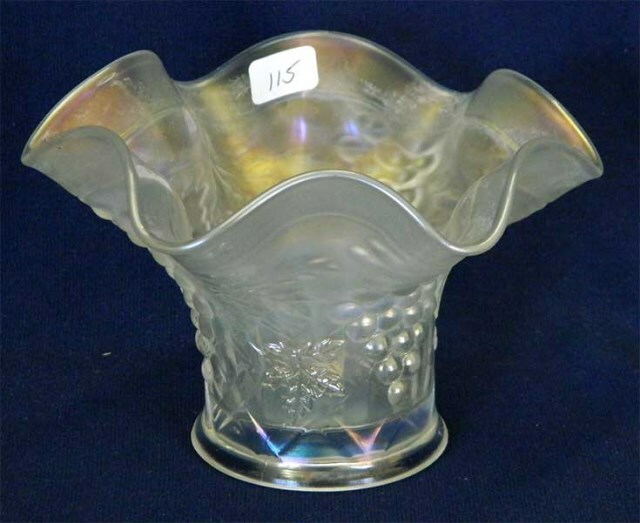 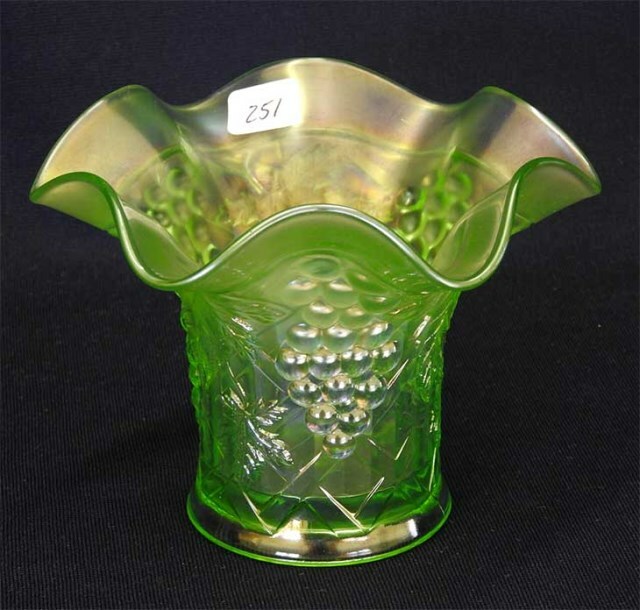 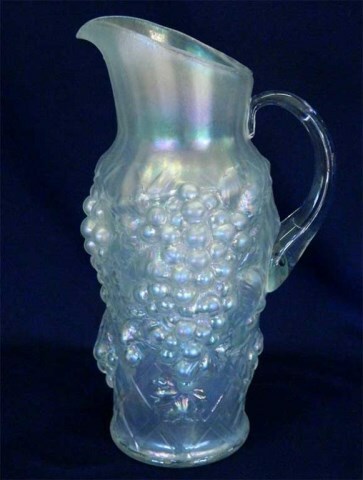 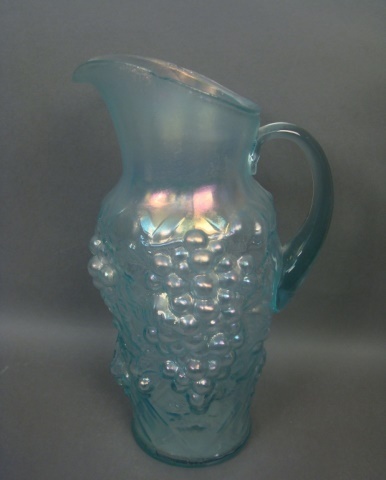 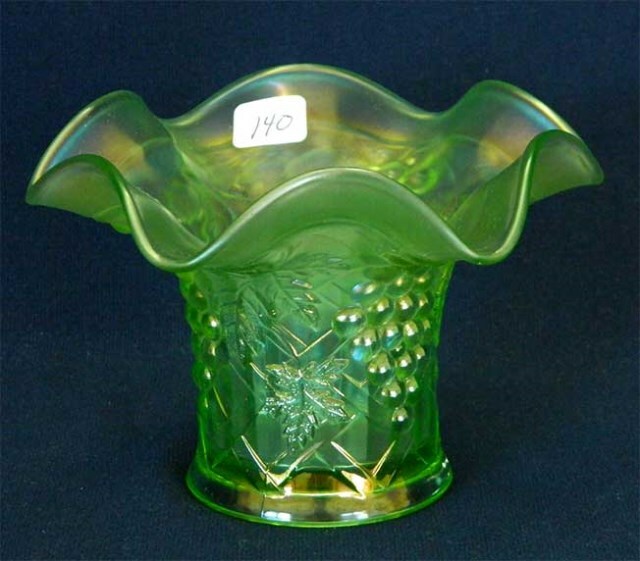 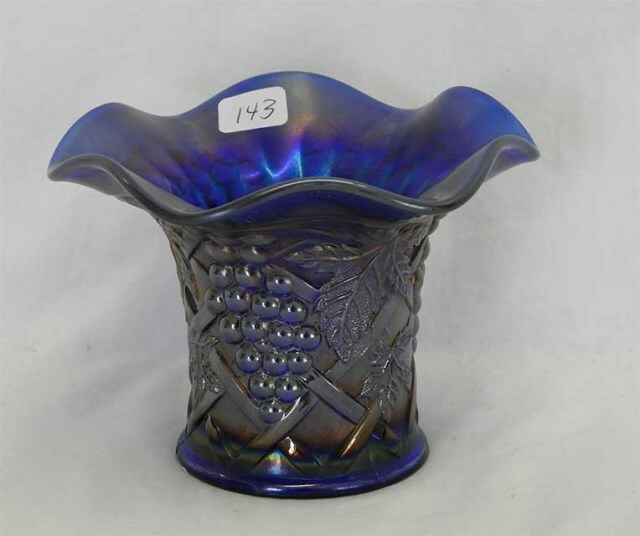 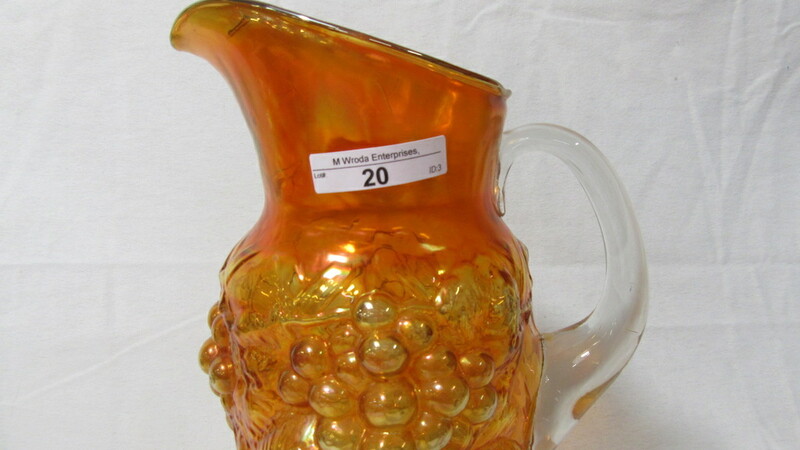 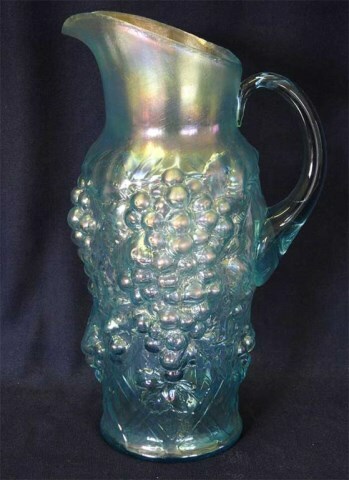 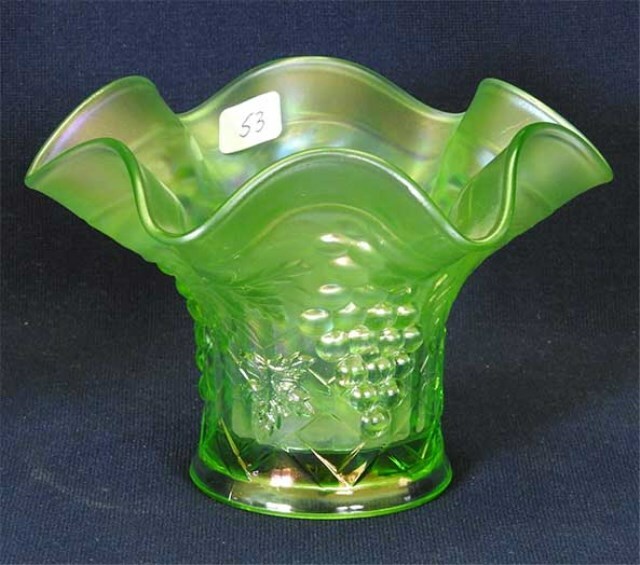 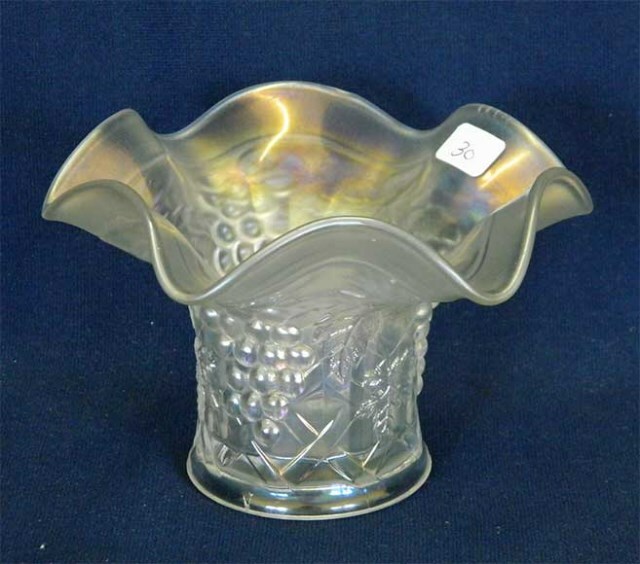 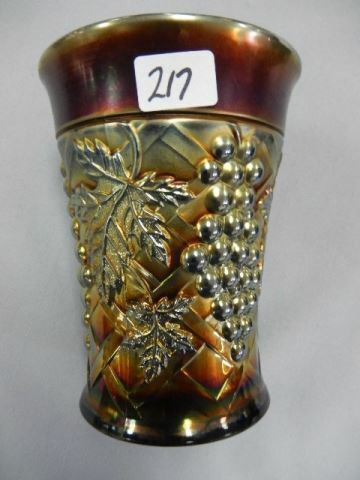 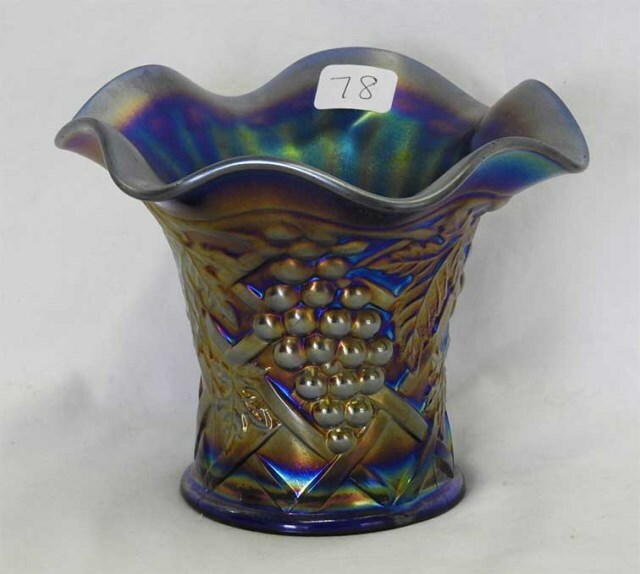 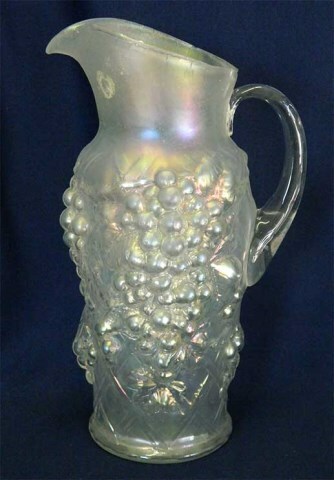 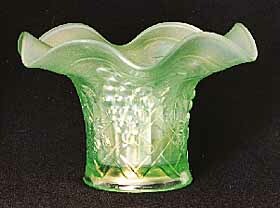 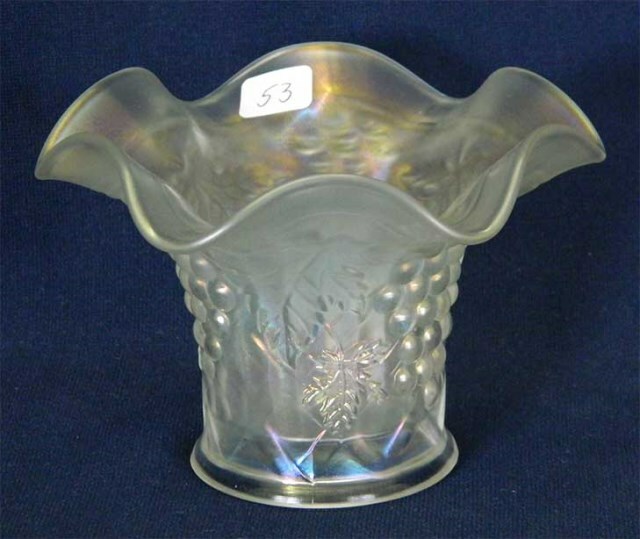 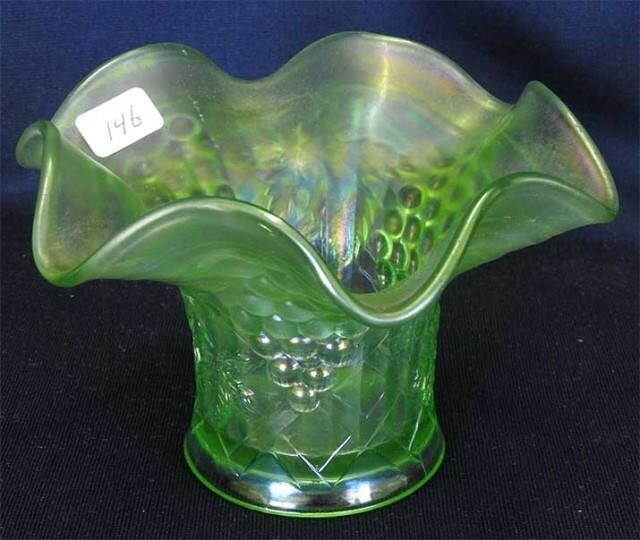 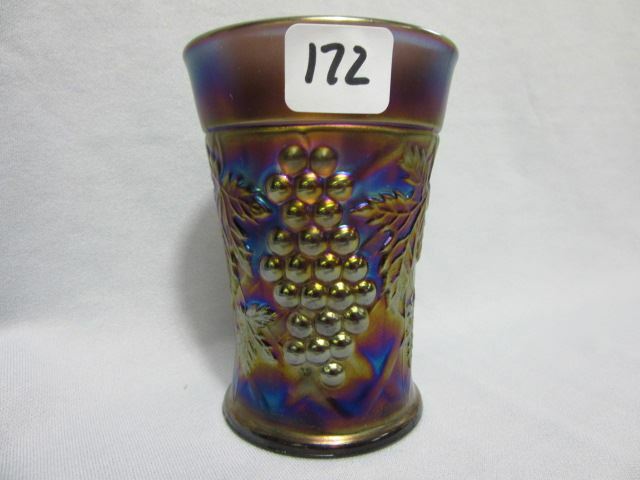 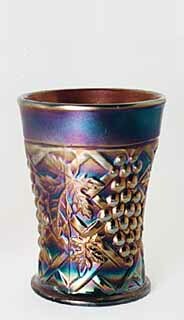 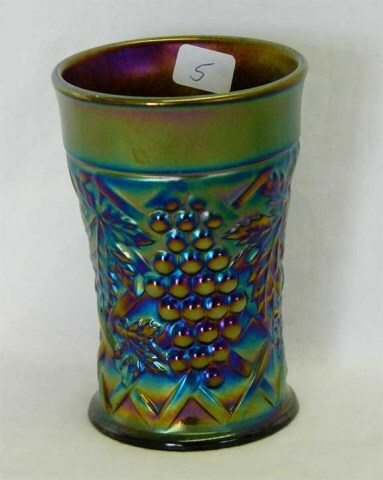 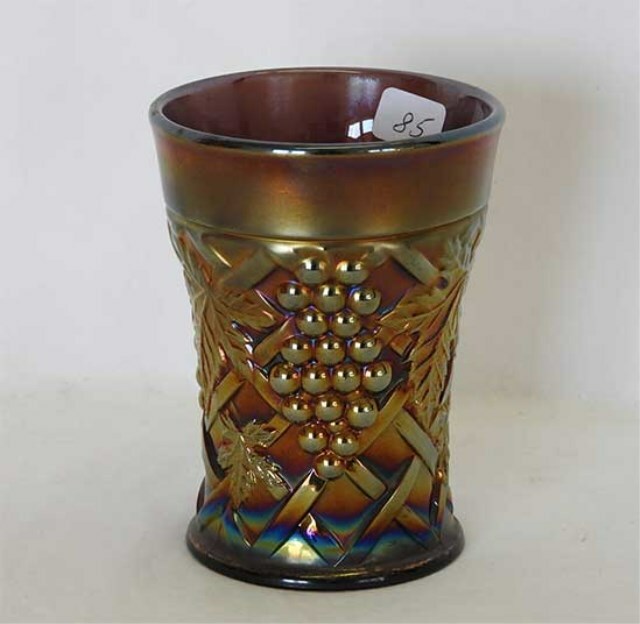 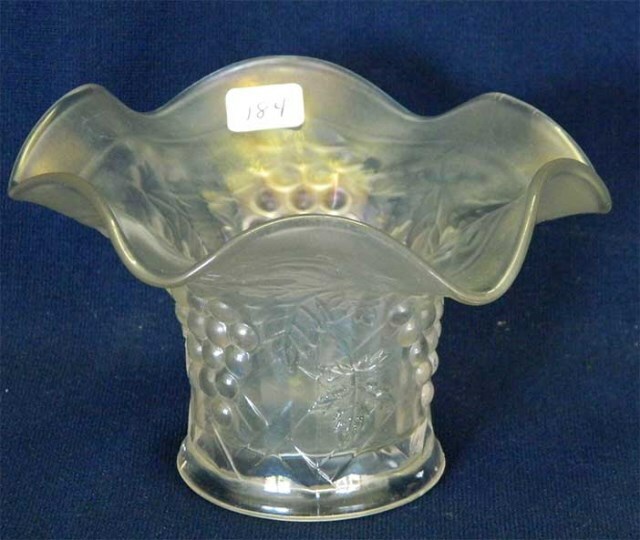 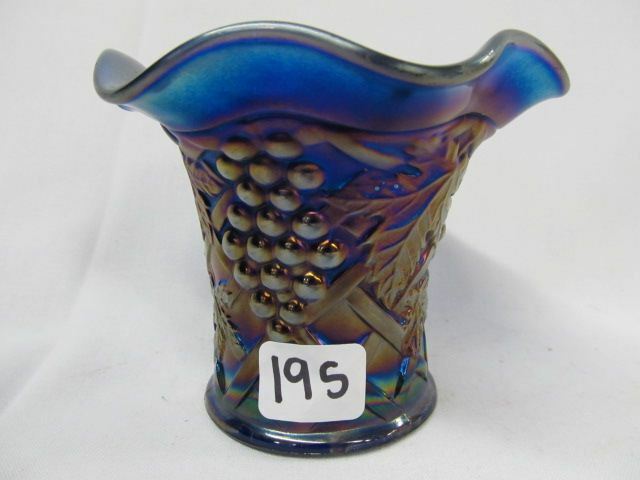 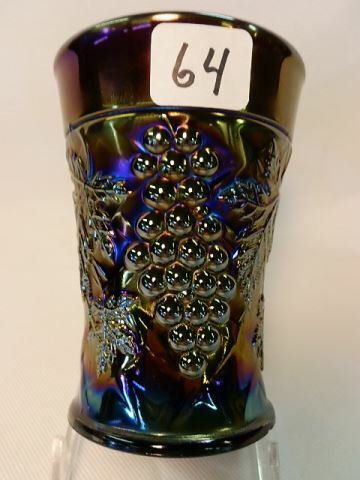 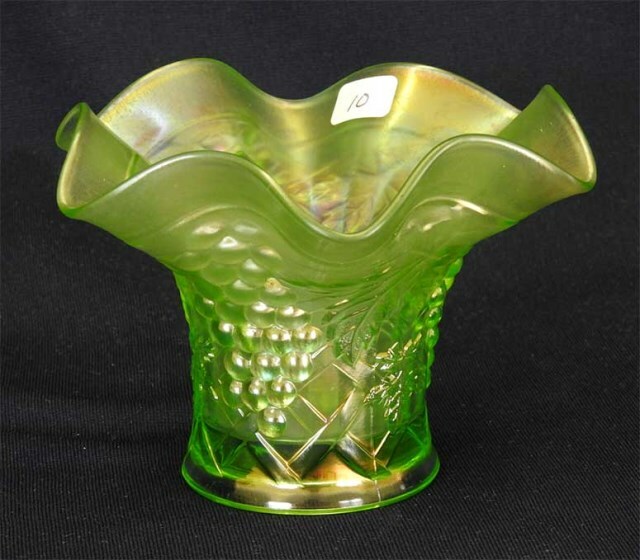 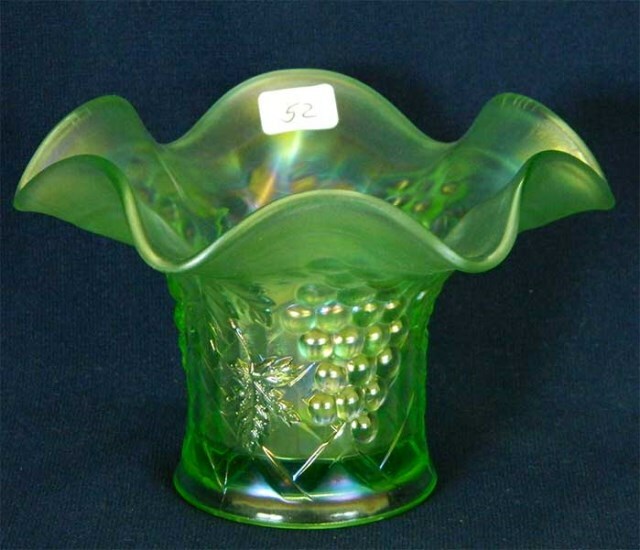 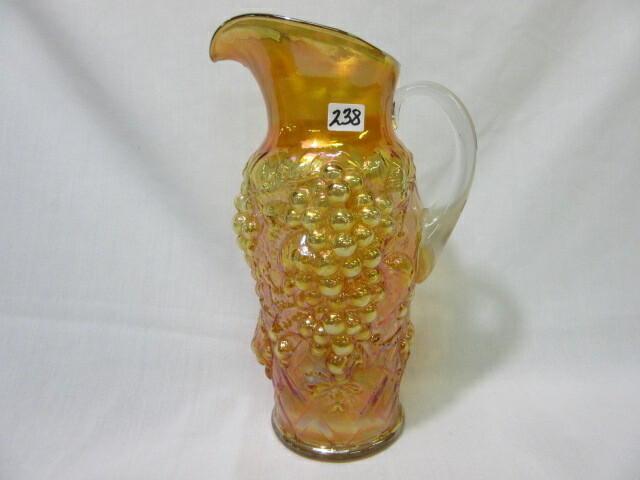 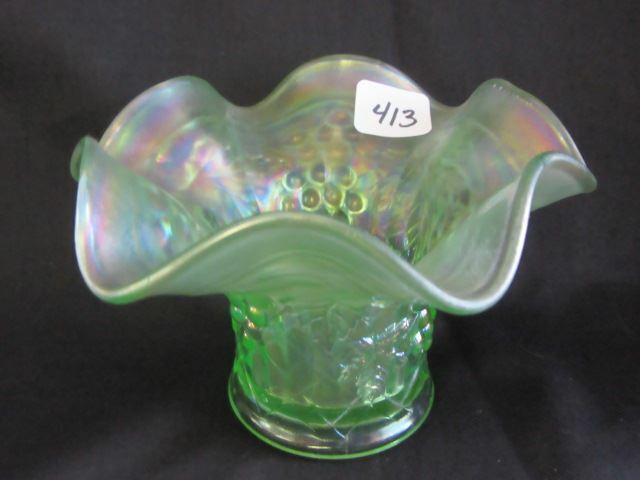 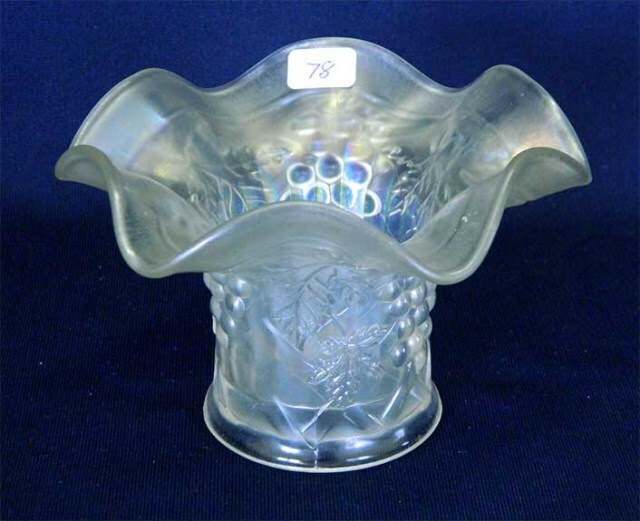 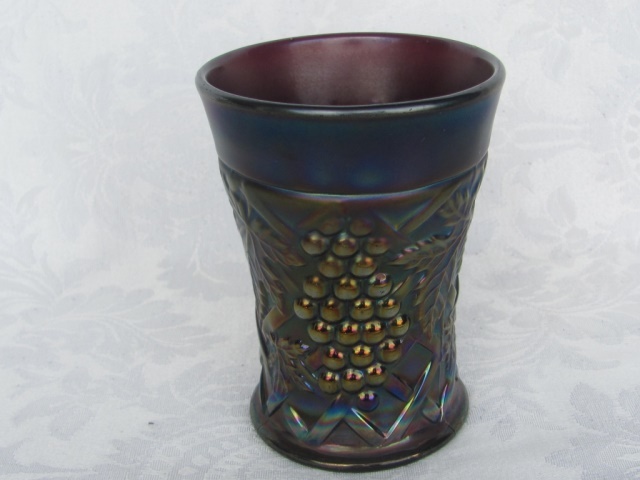 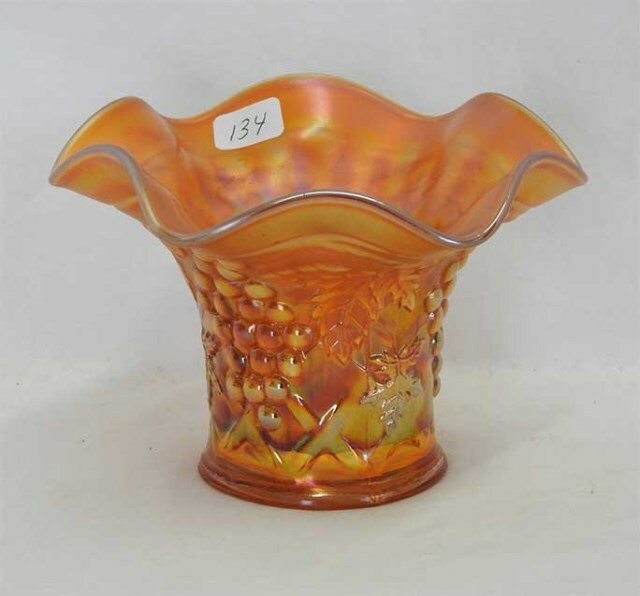 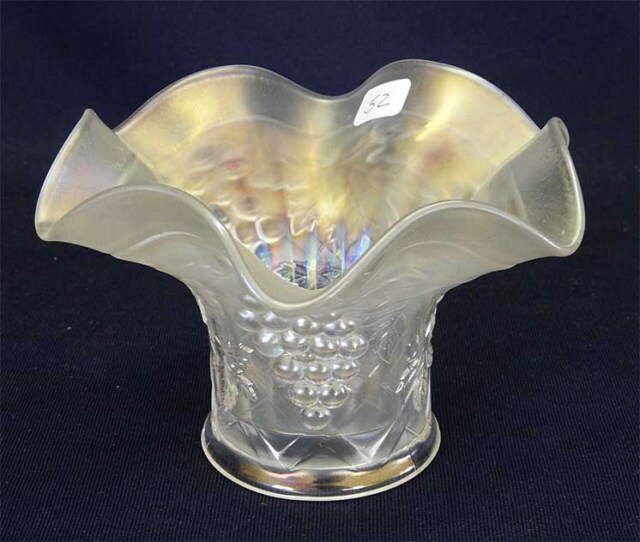 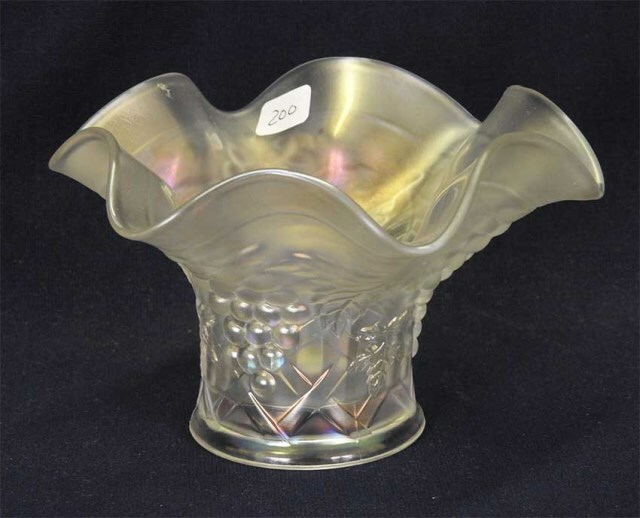 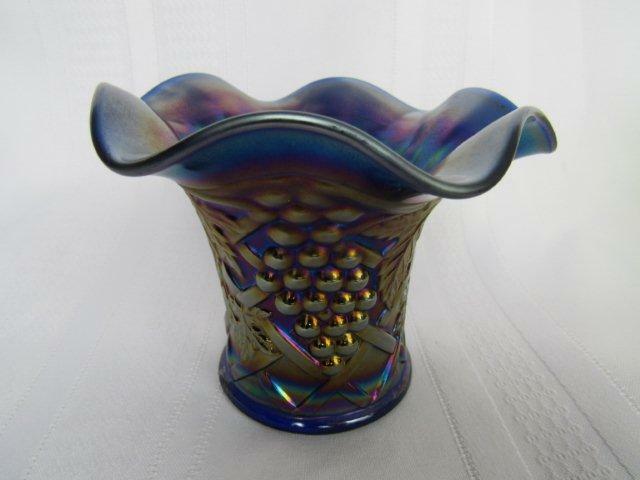 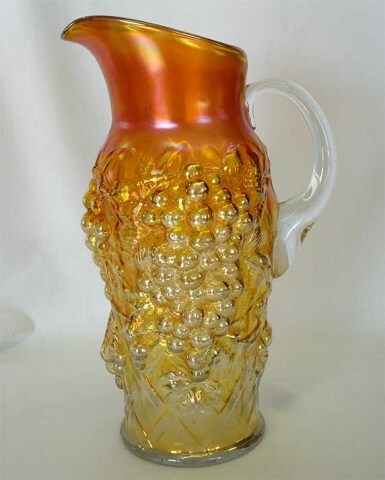 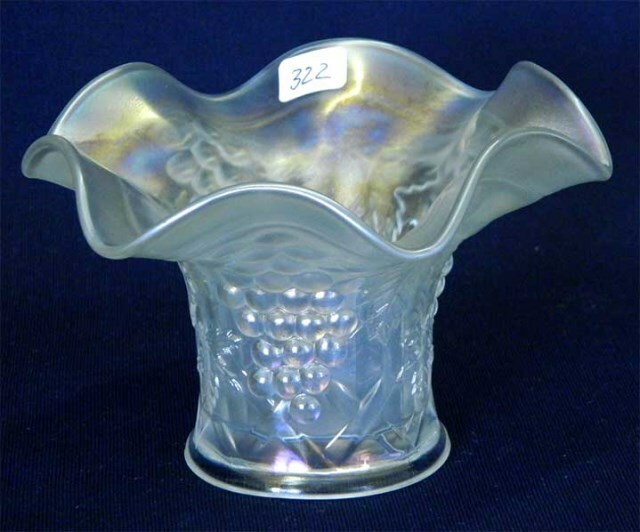 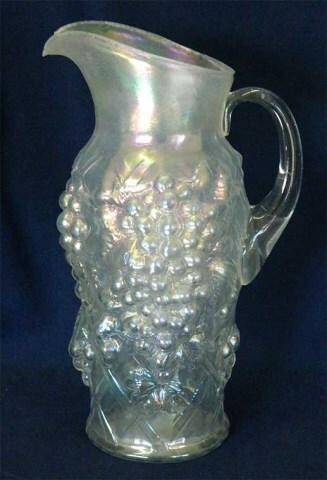 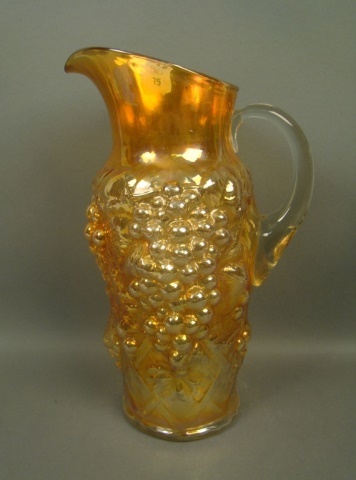 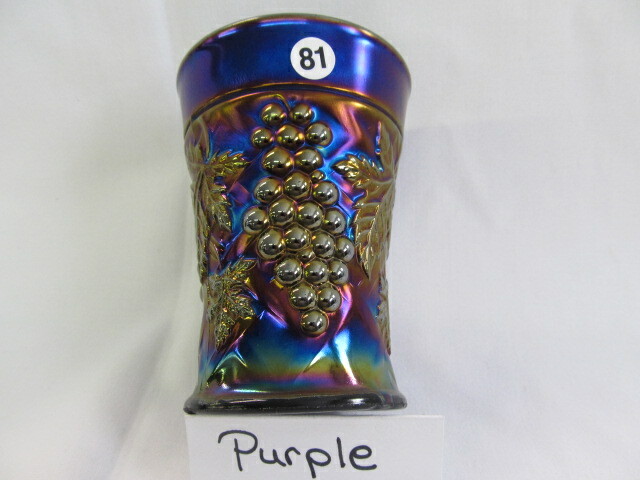 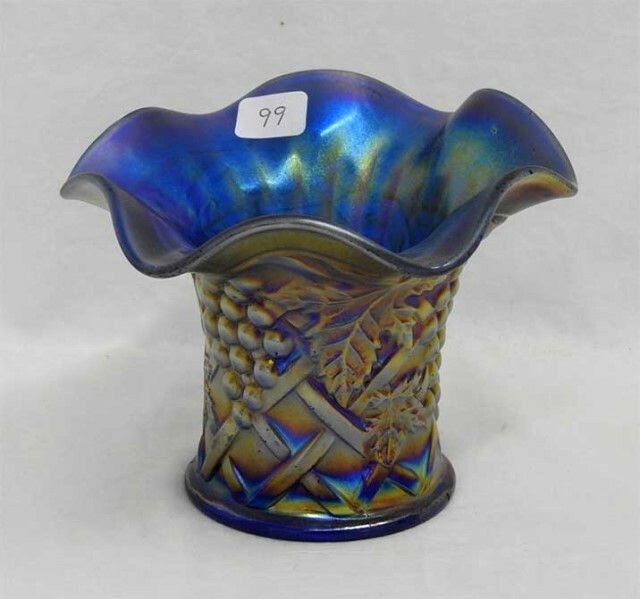 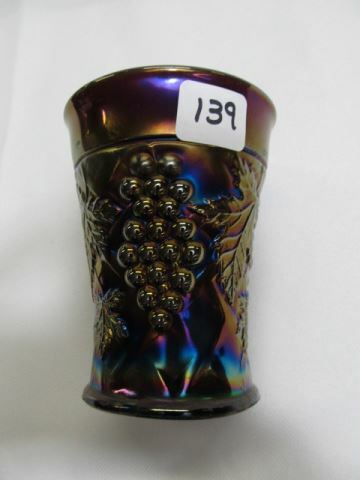 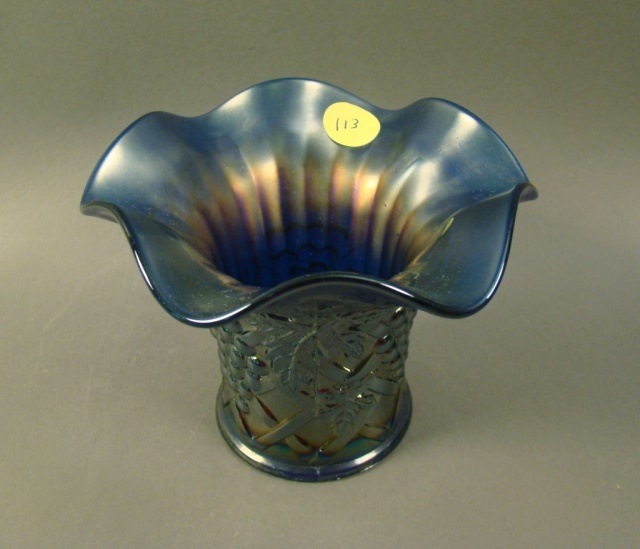 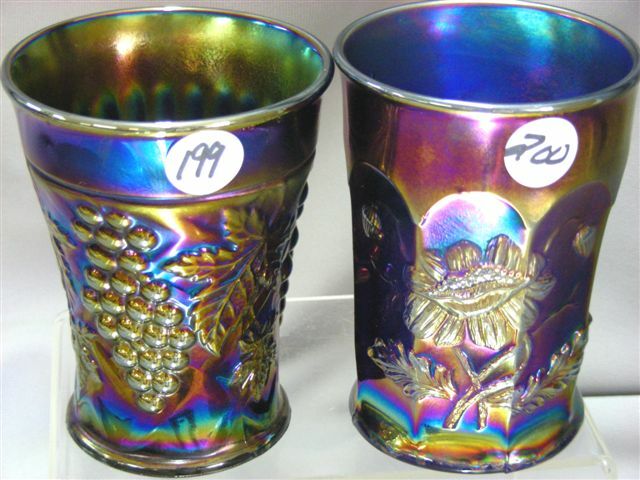 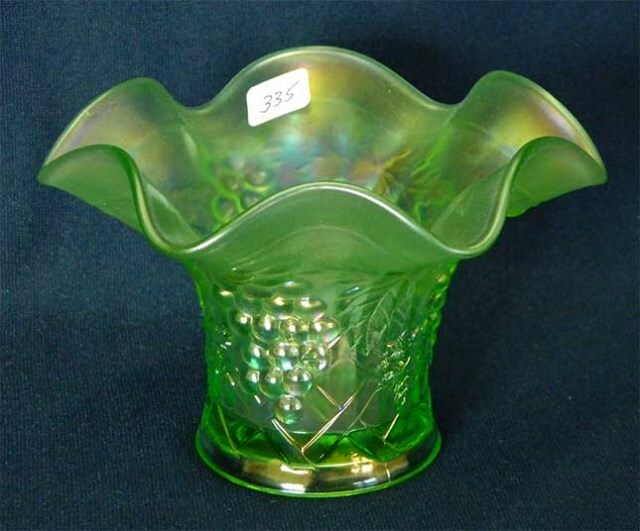 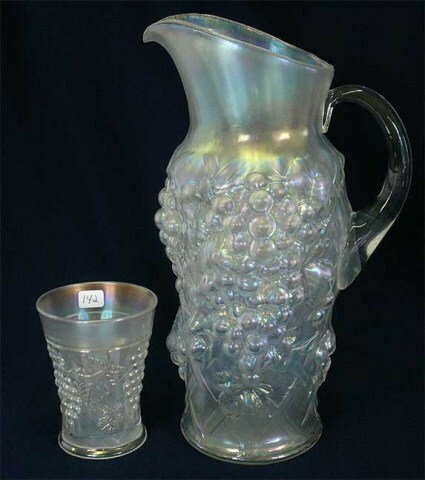 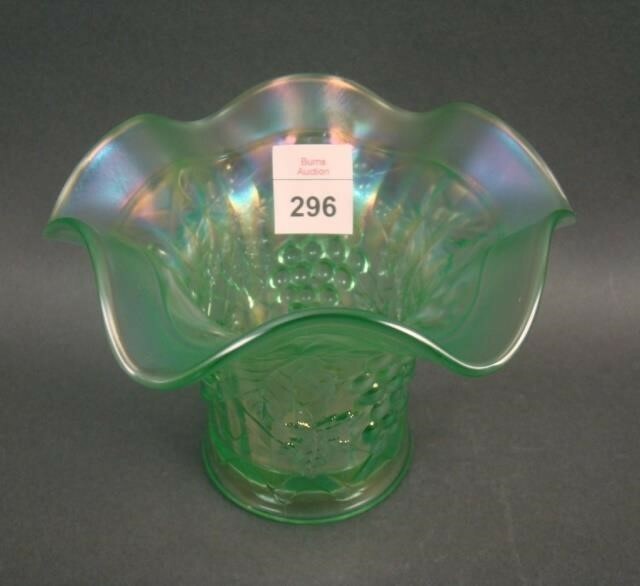 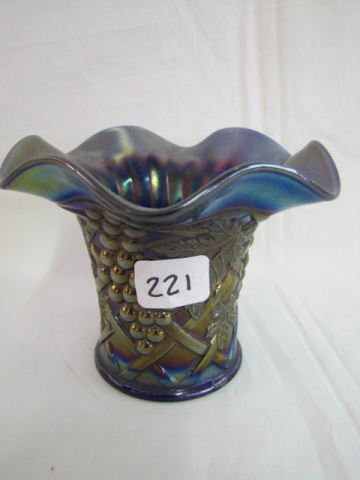 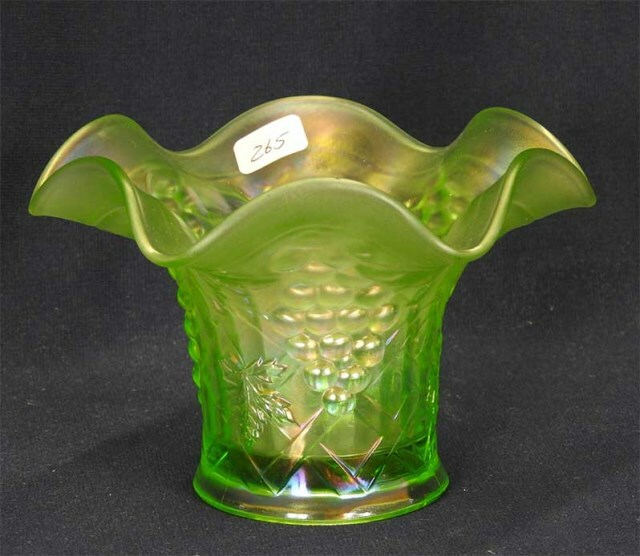 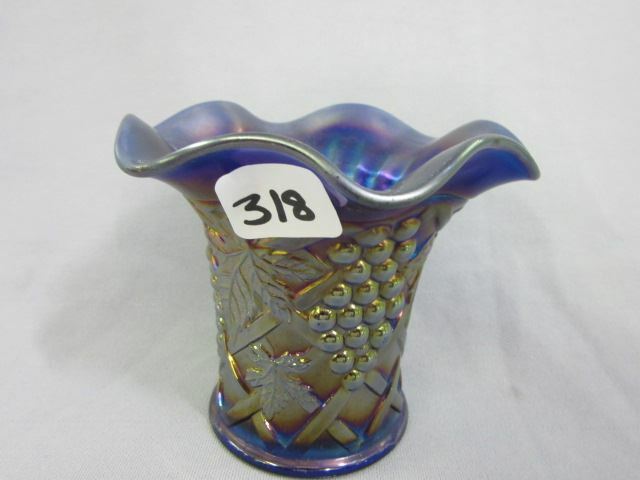 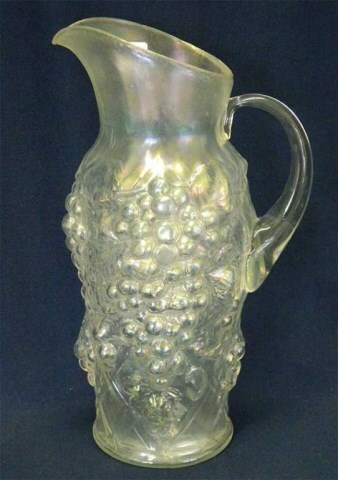 The grapes are combined with a lattice design around the base on both pitcher and tumbler. 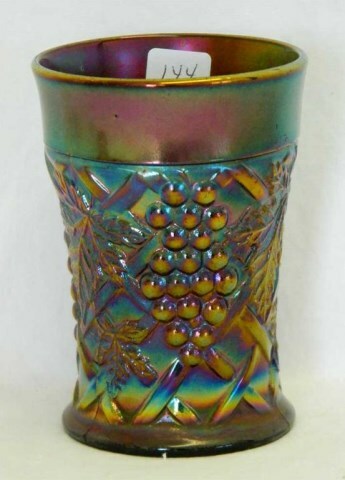 This pattern should not be confused with the identically named Dugan pattern which is found only in large fruit bowls. 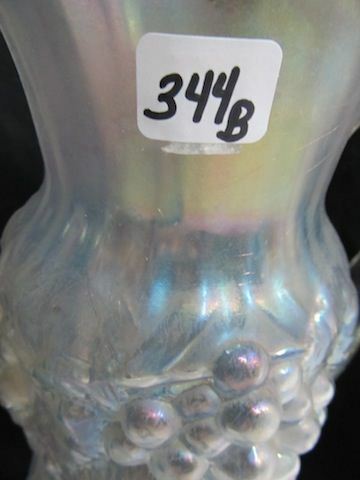 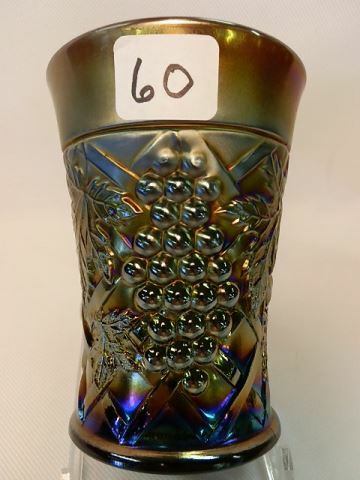 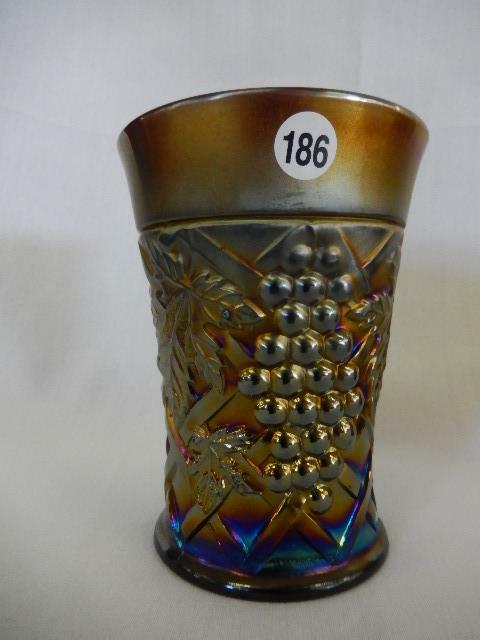 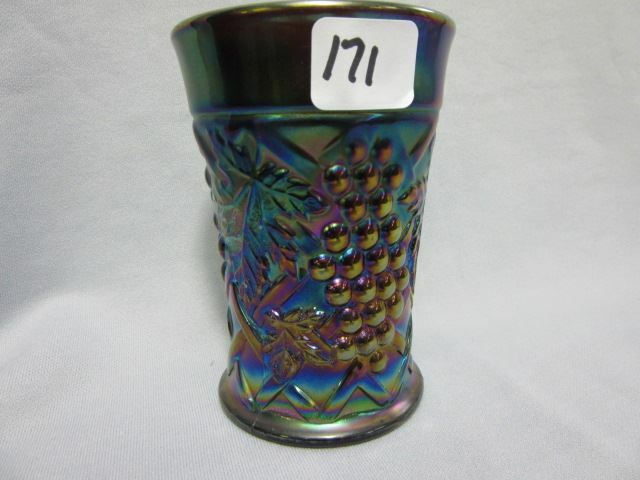 An occasional tumbler will have etched souvenir lettering–which doesn't significantly affect the value. 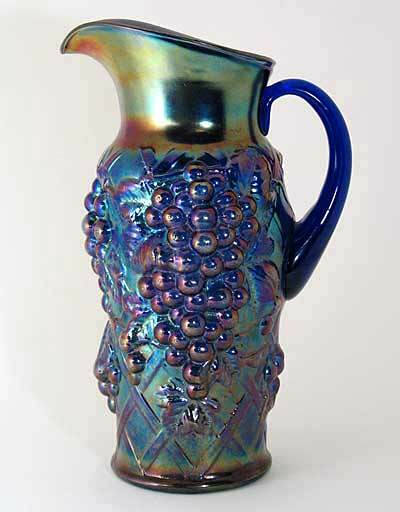 The tankard shown is in blue–one of only 4 or 5 known–and was shown at the rarities seminar at the 2005 ICGA convention.